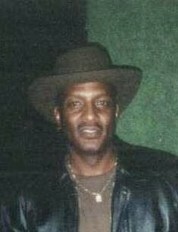 Mr. Willie Kent Sr was born November 28, 1958 in Lake Charles, LA to Willie Dean and Juanita Duhon. After a long 10 year battle with cancer the Lord called him home on March 9, 2019. Where he died peacefully at his home in Auburn. He is proceeded in death by his parents Willie and Juanita Duhon, Sister Debra Mott, Brother Guy (fat) Duhon. Willie Kent affectionately known as Will or Kent was a man that was devoted to living. A faithful and loving husband of 20 years, a devoted father of four and grandfather of three. He enjoyed everything this world had to offer. Will’s wife and kids were the jewels in his crown. He hailed from Los Angeles, CA graduating from Compton High School then went onto serve as a Sergeant in the US Army for eight years. After his honorable discharge he relocated to Seattle, WA and at that moment “pretty Willie” was introduced to Seattle. A die hard Ram’s fan, he had a passion for fishing and loved to cook, a master BBQ’r he was, he loved to watch westerns and he loved being out on his boat. Will was a phenomenal commercial plumber serving in Local 32 plumbers and pipe fitters union for 20 years. Will loved God, and his family more than anything. His 60 year legacy will be cemented in the hearts of those who loved him. He is survived by his wife D’Juna, four children: Keintra, Will Jr, Jessica, and Jayza, three grandchildren, two God-children, three sisters, and two brothers, and a host of family and friends. Willie Kent Duhon Sr will be greatly missed by all.